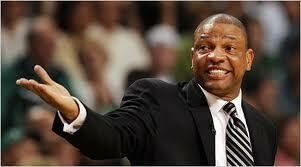 If you haven’t heard already, Doc Rivers will be going to the Clippers. The Celtics will receive a 2015 first round draft pick for compensation in letting him out of his contract 3 years early. So far, we cannot trade Garnett there for Jordan, and it is widely assumed that the league will veto any trade between the two teams during the summer, stating that you cannot trade players and coaches together. I don’t like the way this happened, but you gotta look at it from both sides. It is understandable that Doc Rivers didn’t want to go through the whole rebuilding process. Sure, it would have been better if he didn’t publicly come out saying he was ready for it when he signed the contract extension, but still. He was the greatest coach we could have had for these players. Everyone loved him, and until 8 days ago, so did you. He brought the winning mentality back to Boston, and that is exactly why Danny Ainge kept him around after horribly-losing seasons, to work with the newly assembled Big 3. If we didn’t release him from his contract to go coach in LA, you can safely assume that he would have been taking a year or two off, and most likely broadcasting. This way, we at least get something for him, and he made sure of that. He still loves it here, he will admit that today in the press conference at noon. If only we could have gotten one of their draft picks from when they sucked. Right now, it looks as though they will be near the top of the standings, so their pick isn’t anything special. Two late round picks can be traded for a pretty penny though. No hard feelings Doc. There has been a new breakthrough in the potential Celtics trade with the LA Clippers. 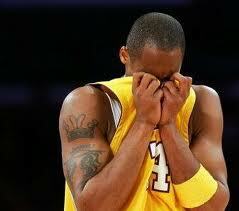 Since the Clips were not gonna let Eric Bledsoe come here, we have decided to go another route. We want them to take the contract of either Jason Terry or Courtney Lee (both are owed $11 Million over the next two years). We would now trade Garnett and Doc Rivers and one of those two to them for Deandre Jordan (solid player and fun to watch, but not someone you build your team around) and a future first-round pick, and maybe even another role player. They are saying that the deal, if it goes through, will be done later today or Tuesday the 18th.